« How to Use Tempo Trainer to make your turns (and times) faster. This is a guest post by Anna-Karin Lundin of Gpthenburg, Sweden, a member of the 1988 Swedish Olympic Team, and newly-minted TI Certified Coach — TI Coach #1 in Sweden! SIMCOACHEN.SE – TOTAL IMMERSION from KONDITIONSFILM on Vimeo. 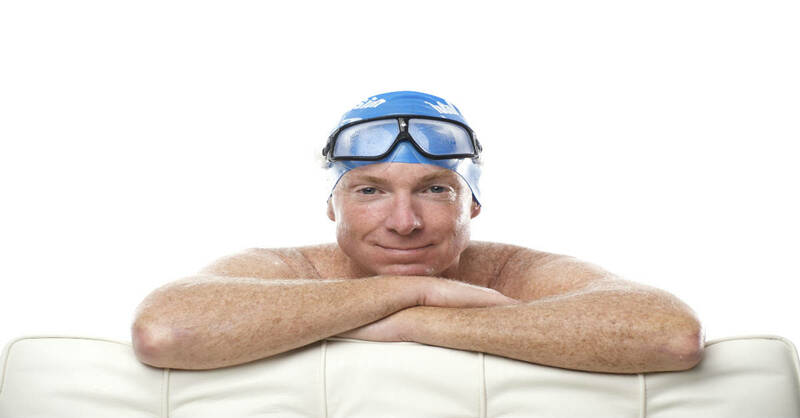 I became interested in Total Immersion some months ago while looking for an intelligent way to coach my adult swimmers and triathletes. After practicing with the aid of the TI Self-Coached Workshop DVD, I decided to travel from Gothenburg, Sweden to Greensboro, NC to attend the TI Coach Certification Course in early May. I went expecting my coaching to change; I had little expectation that my own swimming would change. After all, as a former Olympic swimmer (representing Sweden in the 1988 Games in Seoul, Korea at the age of 15) and a current Masters World Champion, was my technique not already at the highest standard? Well to my complete surprise, my swimming has changed dramatically. During our first pool session, the Senior Coaches began to break down and rebuild the trainees’ (there were nine coaching candidates) strokes, in part to demonstrate to us how they teach. In just 30 to 40 minutes, all of us felt experiences of a harmony with the water, we’d not known was possible. During the five days of training, the Senior Coaches repeatedly emphasized how we must be Kaizen – committed to Continuous Improvement – both in our teaching and our own swimming. In the five weeks since, I’ve worked tirelessly to continue practicing as they showed us. The result is that I now understand how it feels to work with, not against, the water, and know that I will never return to my old way of swimming. Yet as good as my stroke now feels, the more significant change has not been in how I move, but how I think. As with most elite swimmers I’d swum mostly by instinct. I had never been shown how to swim mindfully. Since returning to Sweden, my practice has been an exercise in maintaining undistracted and specific focus on every stroke. This has brought new discoveries and insights in every pool session. It has also resulted in experiencing the pleasure of Flow that is both mental and physical. Feeling body, mind and water in such harmony is magic. It transforms practice into something you do for the sheer pleasure of it. It’s inspiring to think of the transformation – personal and physical — I will be able to help my athletes and clients achieve. Interested in following Anna-Karin’s path into TI Coaching? Our next two Coach Certification Courses are Aug 15-20 in Los Angeles, and Oct 31- Nov 5 in Greensboro NC. Click here to learn more. Wow. Beautiful swimming. I put this short video in my top 5 swimming favorites. Her recovery and entry is the most graceful I have seen. It appears to me that she may rotate quite a bit. I sure would like to see underwater video.